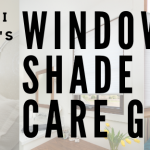 We’ve been getting some questions about how to install our Simple Stick shades as an outside mount so we wanted to bring you an easy step-by-step guide for this alternative installation. This applies to all the Original and Easy Lift product lines. 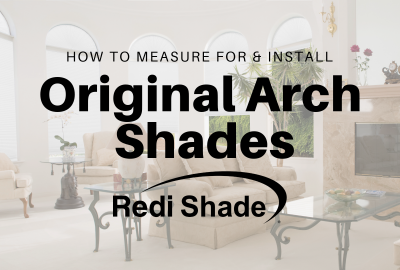 Just as you would with the more traditional inside mount installation, you’re going to want to measure the area of installation. For outside mount, measure above the window casing from edge to edge or any additional area you would like covered. Next, trim your shade to the desired measurement. 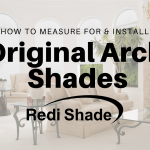 For our Original shades, use a tape measure to mark the desired measurement. 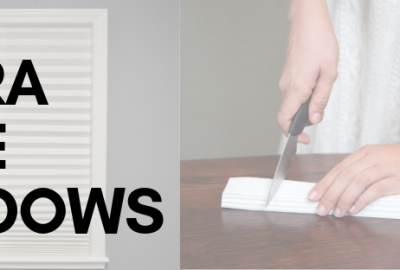 Then trim at the mark with a utility knife, kitchen knife, or scissors. 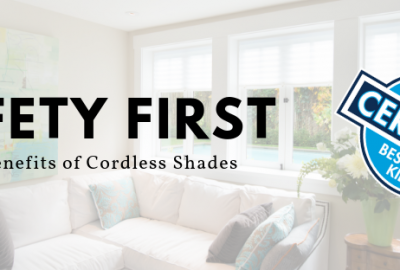 For Easy Lift shades, remove the end caps and trim the shade at either end. Then trim the shade at the desired point on the cutting guide. Be sure to trim at the designated mark on either end of the shade and do not take any deductions as they are included in the trimming guide. Replace the end caps before installing. To install your shade, first peel the adhesive liner from the top of the shade. Then, adhere the shade above the window casing with the top pleat or headrail perpendicular to the top edge of the casing. Press firmly with both hands to ensure the shade is securely adhered. 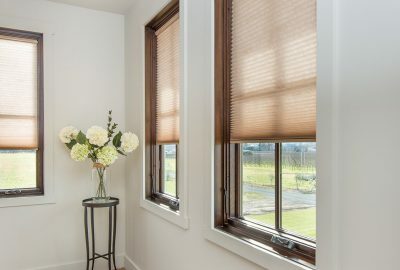 Finally, operate the shade by pulling it over the top edge of the window casing and down the front of the window. Our Original shades can be raised and lowered using the included clips. Our Easy Lift shades can be operated by gently raising and lowering the bottom rail. 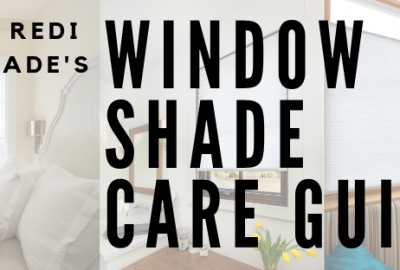 Note: if you do not have available space above your window casing and you do not have the window depth to install as a standard inside mount shade, you can install the shade directly on the inner window glass. If you have any questions or need further assistance, feel free to give us a call.